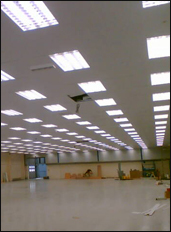 Offices, Shop fits, New builds, Universities, Schools, Warehouses, Prisons, Leisure centres, Supermarkets, Religious institutions, Hospitals, Factories, Nightclubs, Hotels, Social clubs. All within both private and public sector organisations. We fully manage our own workforce in order to comply at the highest levels in health and safety, quality of works and attitude whilst working for our customers. ACL Interiors work with many local builders and construction companies in order to offer the ideal package in terms of high quality workmanship, health and safety and efficiency through the design and or build process. ACL Interiors look after the Whole refurbishment process. From designing what works you need to end completion we use our specialist fitters and trusted sub-contractors to offer a sound solution in refurbishments and the latest to our specialist range; Domestic Kitchens in your home.